Together, the family represents a total of 256 years of service at the LASD. 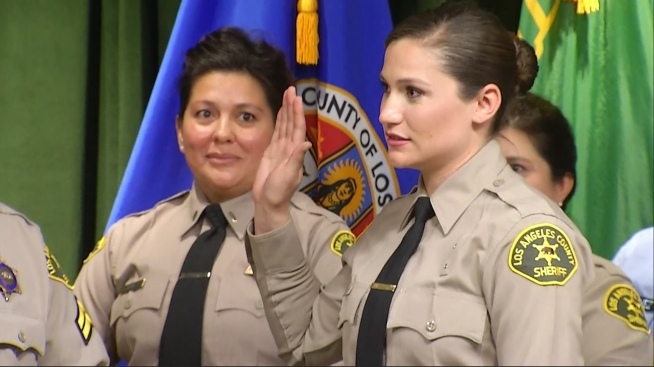 Alexis Velazquez was sworn into the Los Angeles County Sheriff's Department today, joining eleven other family members on the force. Sheriff Jim McDonnell swore her in Monday at the Hall of Justice in Downtown L.A. He says the generations of siblings are the "largest family group" in the department. 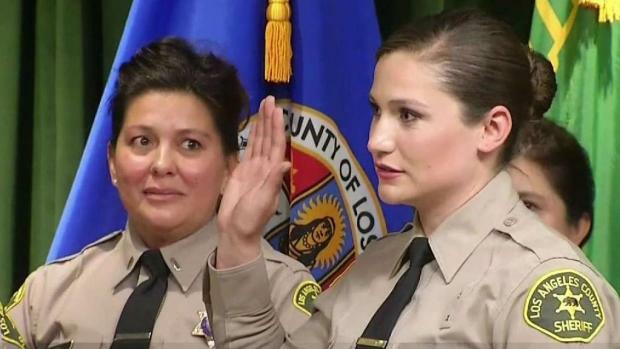 Velazquez, 27, now joins her family as a sheriff's deputy, transferring from the Ventura County's Sheriff Department. She became a deputy there in 2014. "It's a miracle that we're all here," she said at the press conference in Spanish. The Velazquez family is spread across different jails, patrol stations, detective bureaus, and specialized units. At the press conference, most of them stood behind her as she was sworn in. The Velazquez family is the "largest family group" in the department. The family's roots started in 1984, when Deputy Enrique Velazquez joined the LASD. His career inspired four of his siblings to become LASD members, one to join the Los Angeles County Fire Department, and several sibling marriages within the department. The second generation of family members includes Enrique's son, a Los Angeles County sheriff's deputy; his niece Laura Marie Velazquez, a Law Enforcement Technician for the Los Angeles County Sheriff's Department; and his daughter Alexis, who now joins him in Los Angeles. McDonnell is proud of the family's legacy in the department. "There is perhaps no greater endorsement and affirmation of a career than to look to one's child and say, 'I encourage you to continue this noble tradition of service,'" he said.